The late Enoch Powell wasn’t right about much but he was unerringly accurate when he pointed out that ‘all political lives end in failure’ – including his own. Take the case, for example, of a man who led the Irish people, unchallenged by anything other than a barely audible dissenting murmur for just over a decade. He took his party to three consecutive electoral victories and was that political rarity, a sea green indispensable. Often a stumbling and unconvincing public speaker, despite his undisputed political authority, when his name became associated with a potentially career ending scandal he promised his party and his people that his reputation would be vindicated once he finally had his day in court. He got a massive ‘dig out’ from citizens who were concerned at the state of his finances. He was accused of pocketing funds and turning them to his own use. And when he signally failed to justify his actions before a tribunal, the people who had lionised him for a decade, at first, didn’t seem unduly perturbed. It was only when his political allies turned on him spectacularly that he was finally jettisoned. 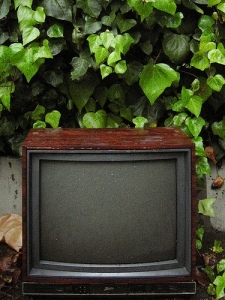 The new guide is up for this week, see the tv and radio guide page here. As usual, feel free to add things I’ve missed to the page by using the comment box at the bottom. Clifford D. Conner promises a full and exacting review of the life and career of the United Irishman with the title Arthur O’Connor: The most important Irish revolutionary you may never have heard of. 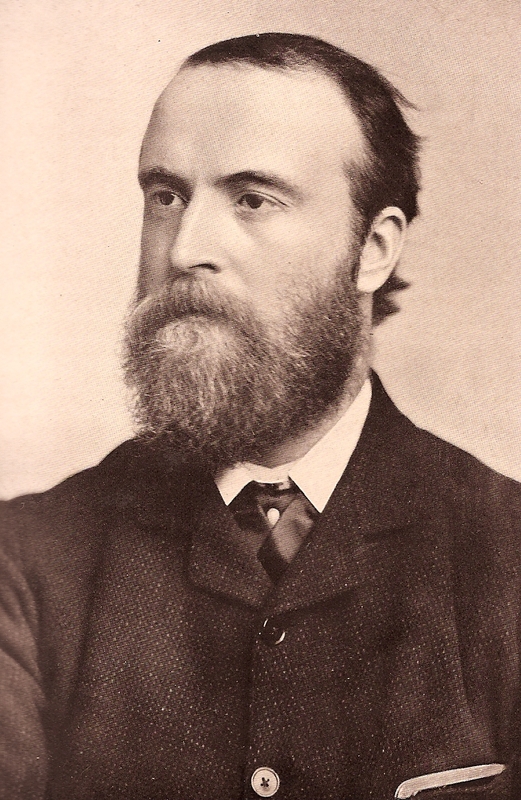 As one of the highest ranking members of the United Irishmen Conner argues that Arthur O’Connor suffers from neglect, with just one other biography of O’Connor. This he claims is because unlike Lord Edward Fitzgerald and Theobald Wolfe Tone he survived 1798 and had a long life. Unlike Tone or Robert Emmett, O’Connor was not executed by the government in the afternmath of the 1798 rebellion, was never hailed as a romantic figure and so he has been sidelined by history. Unfortunately many of the significant republicans and politicians of this era are without a full modern biography. Thomas Addis Emmet and James Napper Tandy, both prominent figures in the republican movement, have also been neglected, perhaps because they too survived the 1798 rebellion, possibly because there is not enough surviving correspondence and primary source material to construct detailed biography or, more plausibly still, because despite the wide-spread celebration (and consequently out-pour of publications) of the double centenary of the 1798 rebellion in 1998 there is still a lot of work to be done on the political figures of the period. 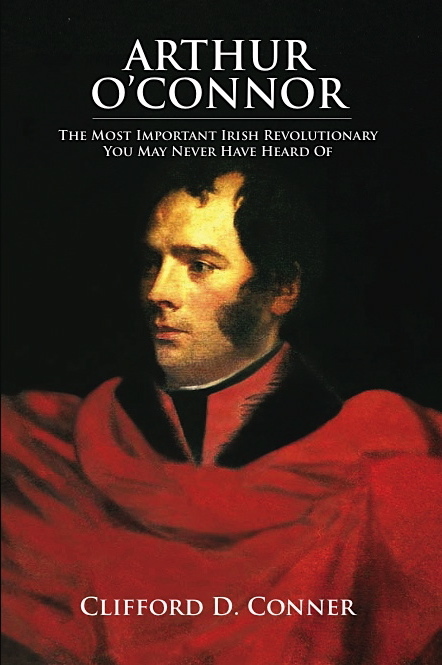 My new biography of Arthur O’Connor advances the claim that he was the most important leader of the United Irishmen in the era of the Great Rebellion of 1798. But histories of the Rebellion have traditionally either mentioned Arthur O’Connor only in passing or not at all. It is almost as if books about the Russian Revolution were to neglect mentioning Lenin. The Berlin wall was inscribed across the history of twentieth century Europe. Appropriately, the Baltic States’ struggle for freedom was written on that same wall. On 12 November the Latvian Embassy launched an exhibition of photographs in Dublin’s Pearse Street Library. Taken between 1987 and 1989 the collection of twenty pictures portrayed murals and graffiti painted on the Berlin wall by activists for Latvian independence. In the first shot a bearded student in a Latvian t-shirt stood beside a mural of the Soviet-dominated map of the Baltic States with ‘SOS’ emblazoned across it. 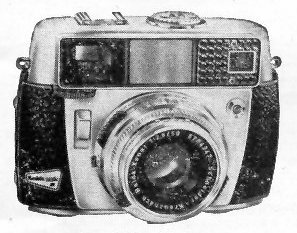 The student was a young Pēteris Elferts, current ambassador of the Republic of Latvia to Ireland – these were his personal photographs. The personal resonance of the wall was underscored by Ambassador Elferts in his speech at the launch. The audience nodded as he commented simply that ‘if the Berlin wall hadn’t fallen many of us would not be standing here today’. In a room full of diplomats from across the new Europe this was a striking thought. Murals of the Latvian flag defiled by Soviet tank-tracks, and calls for the repeal of the Hitler-Stalin pact (effectively in force until 1989), show how the wall became a noticeboard for nations campaigning against Soviet occupation. Clearly the Berlin wall had a symbolic importance far beyond Germany. This exhibition was a small but valuable contribution to a broader understanding of its role elsewhere in Europe during the Cold War. It was accompanied by photographs taken by the Latvian community in Ireland, whose pictures of Irish suburbs and countryside fit in well with the historical and political flavour of the main exhibition. After all, had the wall not fallen these photographers would not be here either. On my way to a conference last month, I found myself with a bit too much time in the airport and nothing better to do than wander about Duty Free and find myself something to read on the flight. Accordingly, I popped into the nearest Hughes and Hughes for a bit of a browse, overpriced latte in hand. I was looking for something light to read – not as light as the gossipy rags stocking the magazine rails (though I have been known to buy those from time to time, all the while insisting that I never usually read them!) but certainly nothing as heavy as the research monographs I’d packed in my bag, just in case. 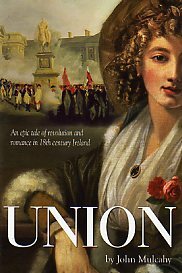 As it happened, I was in luck; after passing by the latest Martina Cole and Cecilia Ahern offerings, I lighted upon what I thought was a perfect medium between the two extremes of light and heavy reading: John Mulcahy’s 2009 novel Union. 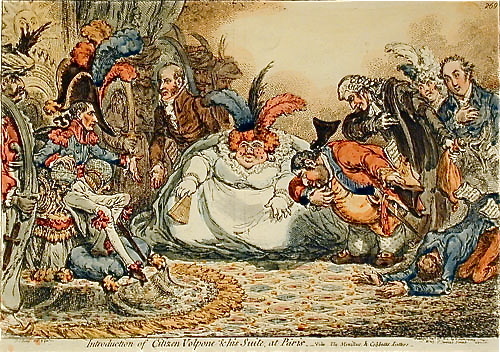 I had read briefly of the book’s publication earlier and was delighted to see a fictional attempt to deal with the Anglo-Irish Union (1801) – an absolutely central event in late-eighteenth and early-nineteenth century Irish social, political, and cultural history which, oddly, has very rarely provided the background for popular, historical fiction. Credit is certainly due to Mulcahy for attempting to recover, in an entertaining but educational manner, this important event to a general reading audience. Published within the last few months, Union has an impressive list of politicians, historians, and writers gracing its back cover with exuberant words of praise. Patrick Geoghegan, for instance, is credited with hailing the novel as ‘[a]n unconventional love story [… that] captures brilliantly the chaos and intensity of the 1798 Rebellion, the passing of the Act of Union, and the doomed heroism of Robert Emmet’. Mulcahy’s novel, as you’ll deduce from Geoghegan’s comments, is concerned with more than just the immediate period surrounding Anglo-Irish Union. Instead, it attempts to capture the decade or so leading up to and following Union, gesturing towards the political and emotional fervour that surrounded all three events that Geoghegan mentions. A trip to Paris marred by a poor refereeing decision, a French manager arriving in Dublin ‘lurching from one crisis to another’, Liam Brady reflecting that ‘the difference between making it and not making it is so slight – but why is it that we never get the breaks that would make the difference?’ and an Irish manager uttering ‘You are a disgrace and a cheat’? Not 2009 but 1981. Plus ça change. The season of Remembrance is upon us and once again the sign of the poppy challenges both Unionists and Nationalists to remember those ‘faithfully departed’ who died for ‘the Cause’ in that ‘Great War’ of 1914-1918. For many Unionists the act of Remembrance is almost a religious experience as they pay homage to the blood sacrifice of their forefathers, who fell in the fields of Flanders, Gallipoli, Dublin and at Somme. For the Nationalist community who’s father’s, brothers and sons fell along side Irish Unionists all along the Western Front, the act of remembrance is more circumspect and the memory of ‘the fallen’ more sombrely recalled amid accusations of ‘poppydom’ by opponents still angered by the activities of cruel Britannia.